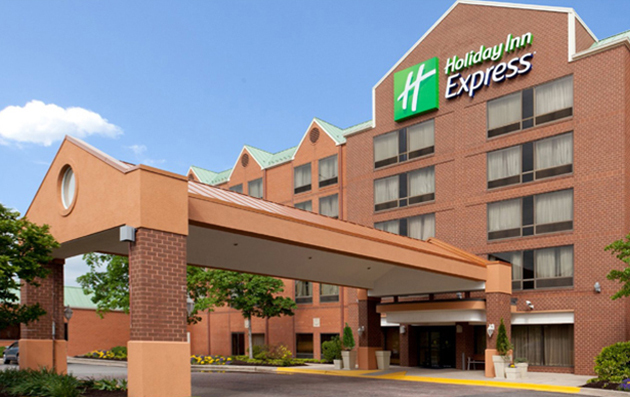 ​​Welcome to Holiday Inn Express Baltimore! This modern suburban hotel is 4 miles from Baltimore Washington International Airport and 10 miles from downtown Baltimore which makes travel planning stress free and enjoyable. The free airport and local area shuttle can also take you to a car rental facility if your travel itinerary includes nearby cities. The polished rooms feature free Wi-Fi and flat-screen TVs with premium channels, as well as micowaves, mini fridges, desk and coffeemakers. Upgraded rooms add dining tables, separate living areas and pull-out sofas. Free amenities include a breakfast bar, parking and a 24/7 airport shuttle. There's also a seasonal outdoor pool, a fitness room and a business center.